Julia Flumian was born in San Diego, California, where both parents were Sheriff’s Deputies. Soon thereafter, Julia had the good fortune to come to the South when her family relocated to Charlotte, North Carolina. Julia became the first woman in her family to graduate from college, earning bachelor degrees in Political Science and Sociology from North Carolina State University. As her Daddy will attest, Julia has been arguing from a very early age. Law school was always in her future. While studying at the Charleston School of Law, Julia was a Moot Court Board Member and a legal writing Teaching Fellow. She also worked as a Law Clerk for the Federal Public Defender and completed over one hundred hours of pro bono service to the community. 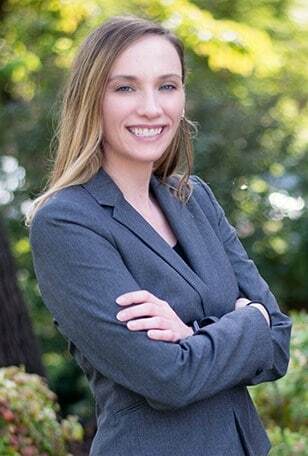 After graduating from the Charleston School of Law in 2008, Julia began practicing in the fields of personal injury, particularly medical malpractice, family law, and estate and trust litigation. She brings a passion for obtaining justice for her clients, and a keen investigator’s mind to every case. Julia works in the firm’s Charleston location. When not working on client’s cases, she volunteers with refugee agencies and the ACLU. She is also a member of the South Carolina Association for Justice and the Charleston County Bar. She lives in Charleston with her two dogs, Buddy and Sophia.